Now, what if you got all of those things at the same time? 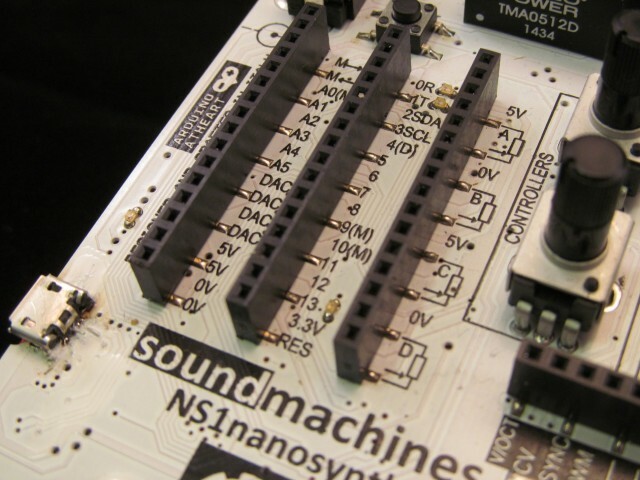 That’s the thought behind the NS1nanosynth analog synthesizer. It’s either vying for the prize of tiniest modular synth ever, or most hackable tiny synth ever. If you saw one from across the room, you might just assume this was just another little project synth. And lately, that category, while generating lots of decent oddities, hasn’t had something that could stick as a hit. 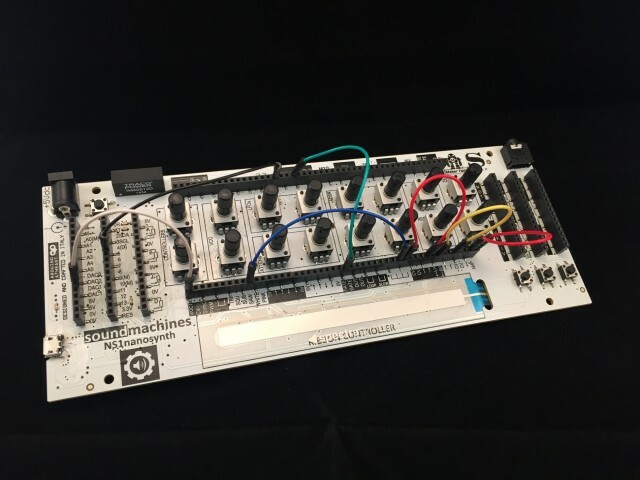 But creator Davide Mancini of soundmachines really has a nifty idea with this one, and I do want to try it. First, there’s the synth itself. 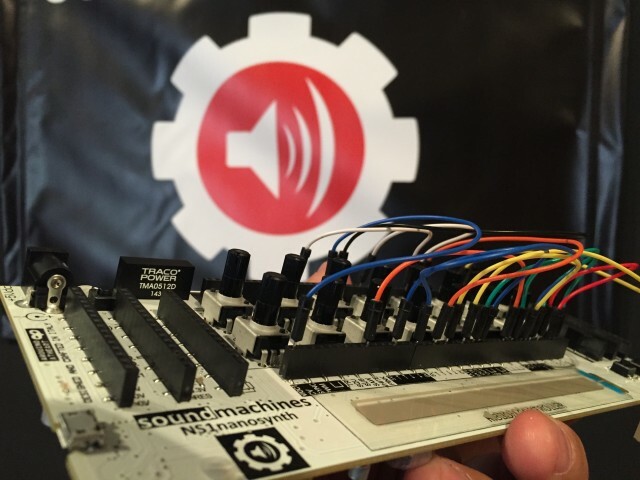 Davide shows his Eurorack background with an analog synth with some decent specs. The components are all analog. There’s a VCO (saw core, thermally stabilized), 12 dB lowpass and bandpass filter, two LFOs, one loopable ADSR envelope, and a standard VCA, too. That means it’s already a decent synth to begin with. 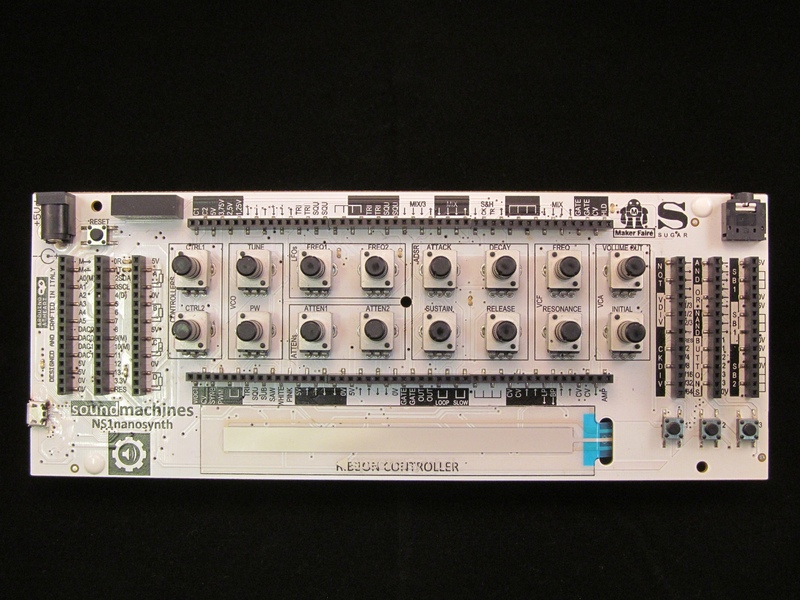 It’s playable, too: there’s an onboard ribbon controller and loads of knobs. 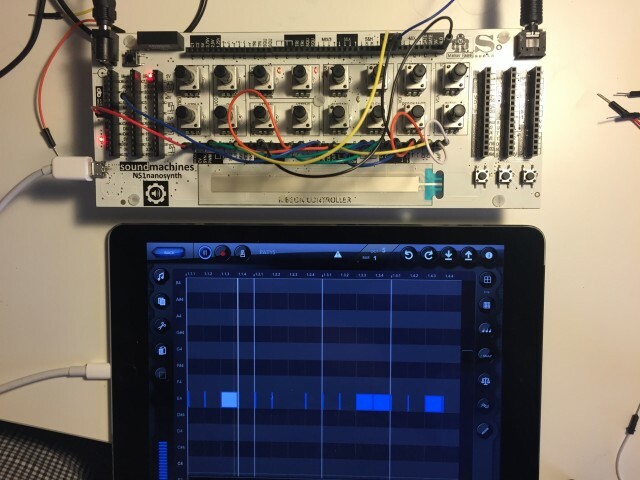 There’s mixing, multiplying, adding, logic (AND / OR / NAND / NOT), analog division. There’s a sample and hold block. You’re not plugging jack cables into this, obviously: instead, you patch with jumper wires and header. 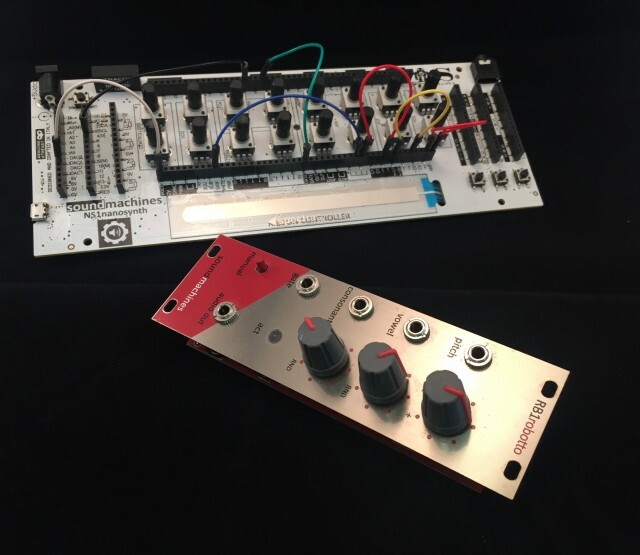 With these, though, you have a very flexible modular synth rig with lots of sound design possibilities. I’d be sold at that point, but Davide also put an Arduino Leonardo-compatible control board on here, too. The Leonardo, a higher-end Arduino variant, delivers USB connectivity, with features like HID (for emulating devices like keyboards, mice, and joysticks), and, via an additional software library, MIDI over USB. So while there aren’t MIDI jacks on this, you can use it with MIDI provided you’ve got a USB host. And then you can do anything an Arduino can: you can do digital sound generation and processing, connect to other bits and bobs via wireless or wired connections, and so on. 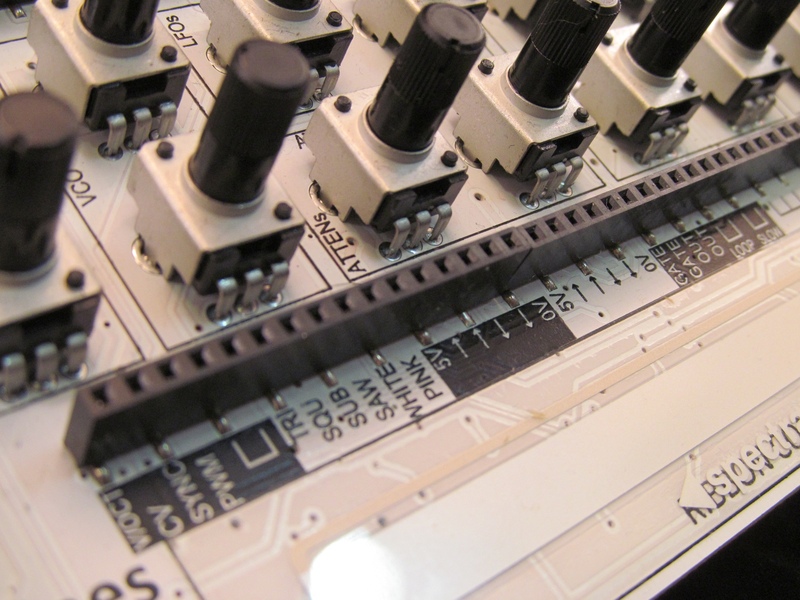 Basically, you get analog synthesis combined with Arduino-compatible digital interfacing. And soundmachines promises more modules of their own to extend the system. It’s all really cool. We’ll get to see more when we get our own unit in for testing. Pricing and availability TBA.